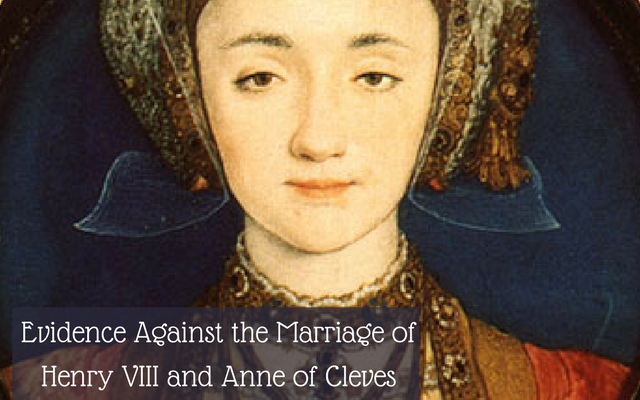 Here we look at all the King’s men and their given depositions regarding the validity of the marriage between Henry VIII and Anne of Cleves. It gives us an interesting insight into each of their statements. 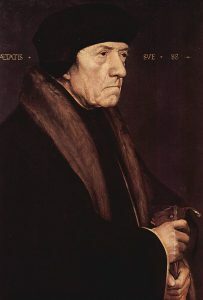 We recently looked at Thomas Cromwell: Downfall and Execution and the events of his decline – now we look at what happened after his execution. How Henry VIII wished to rid himself of his fourth wife with the help of his closest courtiers: Suffolk, Wriothesley, Audley, Russell, Browne, Hennage, Denny, Cobham, two doctors and the ladies, Rutland, Rochford and Edgecomb. Signed: Thomas Audeley, Chauncellor: T. Cantuariensis: T. Norfolk: Charlys Soffolke: W. Southampton: Cuthbert Duresme. In Tunstall’s hand, pp. 3. ‘Henry VIII: July 1540, 1-10’, in Letters and Papers, Foreign and Domestic, Henry VIII, Volume 15, 1540, ed. James Gairdner and R H Brodie (London, 1896), pp. 412-436. In the beginning of the treaty he noted specially that the King constantly affirmed that he would do nothing in the matter of the marriage unless the precontract between the lady Anne of Cleves and the marquis of Lorraine were first cleared. Whereupon the commissioners of the dukes of Saxe and Cleves promised on her coming to England to bring the full and evident clearing thereof, which they did not. The King, not content to be so handled, and as earnest as before to have that matter cleared, deferred the solemnization from Sunday until Tuesday “to compass the end; wherein, the earl of Essex travailed with the King’s Highness apart, and so that matter passed over.” He saw that the King liked not the Queen‘s person, and thought that the King “would have been glad if the solemnization might then to the world have been disappointed, without note of breach of his Highness’s behalf.” Signed. So with that we are to understand that all along there was concern about a precontract between Anne of Cleves and the Marquis of Lorraine and the King wished to have that cleared up before she came to England – it apparently had not. That, when admiral, he received the Queen at Calais. Upon first sight of her, considering it was no time to dispraise her whom so many had by reports and painting so much extolled, he did by his letters much praise her and was very sorry to perceive the King, upon sight of her, so to mislike her person. 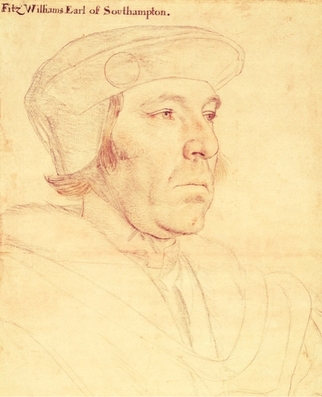 The earl of Essex laid sore to his charge that he had so much “praised the Queen by his letters from Calais” and declared his intention to turn the King’s miscontentment upon him. He answered he thought his praise to good purpose if he could have done any good by it, the matter being so far passed. He was sorry to see the King proceed so coldly with the marriage, the solemnization being deferred from Sunday to Tuesday, “and much fault found for the clearing of the precontract and want of a commission;” the ending of which controversy the earl of Essex, repairing secretly to the King, did procure; but what he said to the King the Earl cannot tell. That, eight days after the marriage, the earl of Essex told him that “the Queen was then a maid for the King’s Highness,” who had no affection for her; and a little before Easter the King declared to him that the marriage had not been consummated. Signed. That he saw the King at his first view of the Queen at Rochester marvellously astonished and abashed. And the next day the King asked him if he thought the woman so fair and of such beauty as report had been made of her; to which he answered that he took her not for fair but to be of a brown complexion; and the King said, “Alas, whom should men trust? I promise you I see no such thing in her as hath been showed unto me of her, and am ashamed that men hath so praised her as they have done, and I like her not.” I saw his Highness was sore troubled at the time. All which matter he told to Sir Anthony Browne, who declared that the King had shewed the like to him. Signed: J. Russell, L. A. Sir Anthony Browne was the Master of Horse to Henry VIII and surely had a close relationship with the King – here we look at his take on the first meeting between Henry and Anne, the famous meeting where Henry felt rebuffed by his future wife. Browne also mentions how he had seen her before the King and also thought she did not look like her portrait, but he had not warned Henry of his find. Plus Browne’s wife had nothing polite to say about Anne either, as you’ll see. That being sent to the Queen at Rochester by the King on new year’s day with a message that he had brought her a new years’ gift, he was never more dismayed in all his life to see the lady so far unlike that which was reported; but on his return he said nothing of this to the King; nor durst not. When the King entered to embrace and kiss her, he noted on his countenance a discontentment and misliking of her person, and the King tarried not to speak with her twenty words. The King that night deferred sending the presents that he had prepared for her, viz., a partlet furred with sables and sable skins for her neck, with a muffler furred and a cap, but sent them in the morning by Sir Anthony with a cold message. When returning from Rochester to Greenwich in his barge, the King said to him very sadly and pensively, “I see nothing in this woman as men report of her, and I marvel that wise men would make such report as they have done.” At which he was abashed, fearing for his brother, the earl of Southampton, who had written in her praise. By the King’s behaviour before and after the marriage he judgeth that the King did never in his heart favour the lady to marry her if outward respects had not enforced him to that act. Signed: Antone Browne. Ever since the King saw the Queen he had never liked her; and said as often as he went to bed to her, he mistrusted the Queen‘s virginity, by reason of the looseness of her breasts and other tokens; and the marriage had never been consummated. Signed. 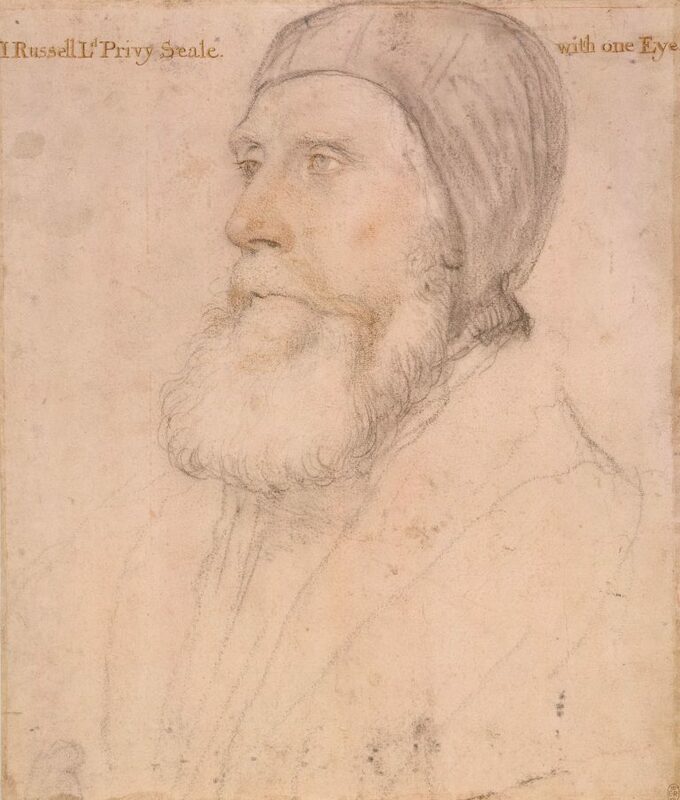 Probably a portrait of Sir Anthony Denny. 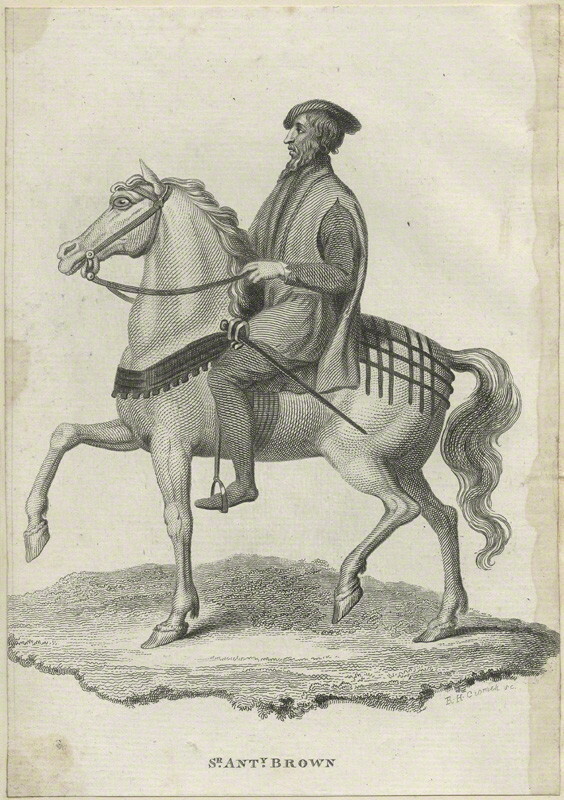 Some people however say it is Henry Howard, Earl of Surrey. Thomas Wriothesley was one of two of the King’s principal secretaries – he arguably had as close of a relationship to the King that Cromwell had — this deposition from Wriothesley gives us a look at conversations that the two men had while Cromwell still lived…of course Cromwell is not around to defend himself. 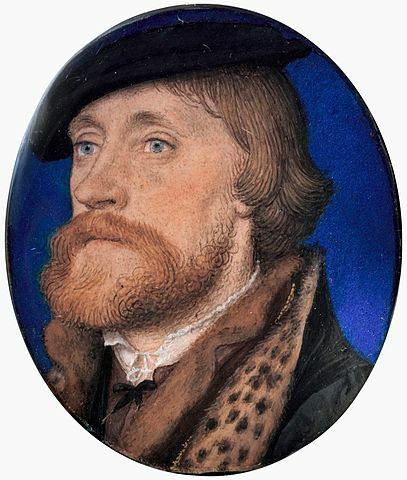 Thomas Wriothesley, 1st Earl of Southampton by Holbein Courtesy of the Metropolitan Museum of Art, New York, New York. Detailing two conversations he had with lord Cromwell [the earl of Essex] in June last. 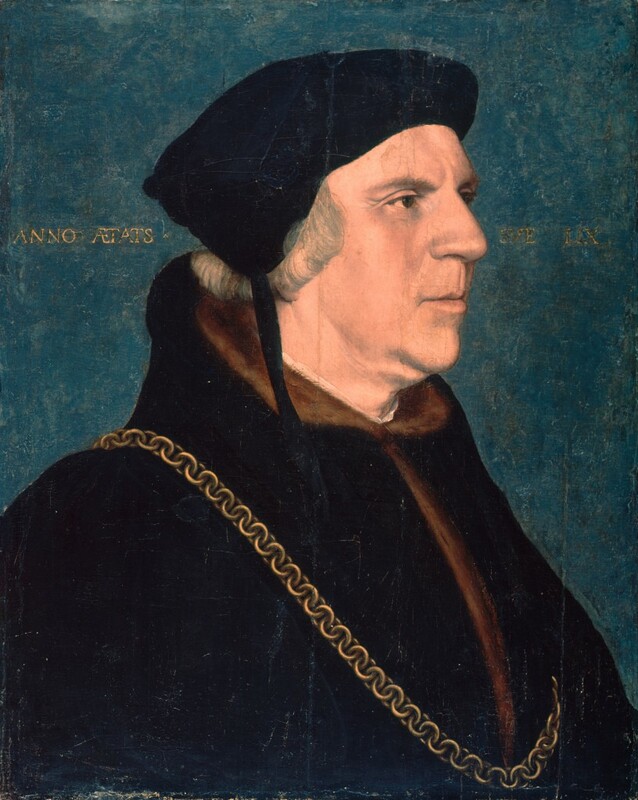 On June 6th or 7th, when lord Cromwell came home to Austin Friars from the Court, he told him (Sir T.) that one thing rested in his head which troubled him, that the King liked not the Queen, nor did ever like her from the beginning, and that the marriage had not been consummated. He (Sir T.) said he thought some way might be devised to relieve the King, to which lord Cromwell answered that it was a great matter. The next day he asked lord Cromwell to devise some way for the relief of the King, for if he remained in this grief and trouble, they should all one day smart for it. To which lord Cromwell answered that it was true, but that it was a great matter. “Marry,” said Sir T., “I grant, but let the remedy be searched for.” “Well,” said lord Cromwell, and then brake off from him. Signed. 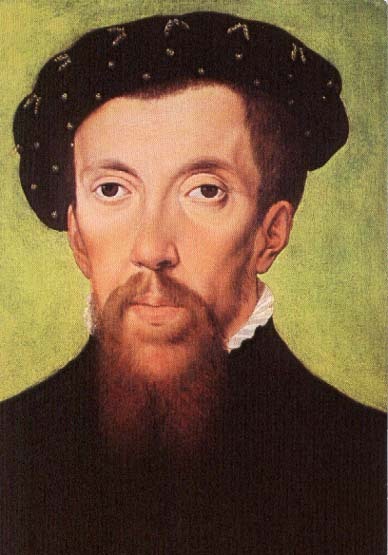 When it came time to discuss whether or not the marriage was consummated we look at Henry’s doctors and the ladies that were near Anne of Cleves. Henry’s doctors, Dr. John Chambre and Dr. William Butts both gave their evidence to the non-consummation of the marriage. 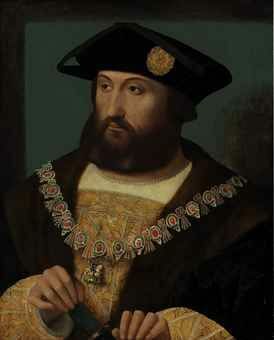 Henry was said to tell Butts that although he was unable to perform with Anne that he had “two wet dreams”. This proved that it was not Henry’s fault that Anne had failed to excite and provoke any lust in him. It’s interesting to look at all the statements made here and makes one wonder if things had gone differently upon their first meeting would they have stayed married? Do you believe that Henry was not attracted to Anne and that’s what it boiled down to? I’d love to see some discussion on this. I am no expert on Anne but truly enjoy gathering evidence on her story. I have often wondered about thus marriage. Why would Henry choose Lady Anne who was so obviously not his type ? Yet , if they had found a common ground , Katherine Howard might never have happened , nor Katheryn Parr. Personally , I think Lady Anne was one smart lady….she got the best end of a very bad deal…Brava !